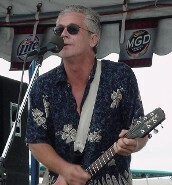 Allan Mayes is a veteran musician from Liverpool, England with over 40-years’ experience in the business and 10,000 plus live appearances. 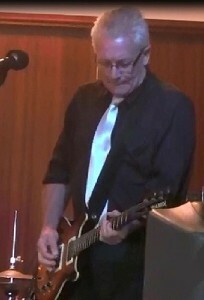 Allan’s career as a solo musician started in 1969. Performing solo & with Liverpool-based bands Medium Theatre, Severed Head, & Restless throughout the 1970’s, Allan has played the Cavern Club and shared stages in those early days with the likes of Genesis & Judas Priest. Dan to Sam for his “Maureen and Sam” version on 1986’s Stumbling In The Aisle. 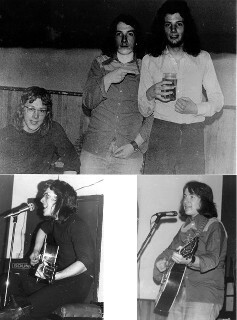 Allan & Declan made their final appearance together as Rusty on June 24, 1973. Iceland, Greenland, Australia, New Zealand, India, South Africa’s Cape of Good Hope, Jordan’s Lost City of Petra, being on the Amazon, through the Panama Canal, swimming in the Dead Sea, and the list goes on - All of this is the result of many years’ hard work; but, more importantly, it started with “a 16-year kid’s decision in 1969 to buy a guitar”. After pretty much seeing, doing, & playing it all, Allan resumed a land-based career in the Austin, Texas area as a solo musician as well as performing with duo partner, LaDonna, as of 2014. ALL THE CLASSICS, ALL THE TIME!